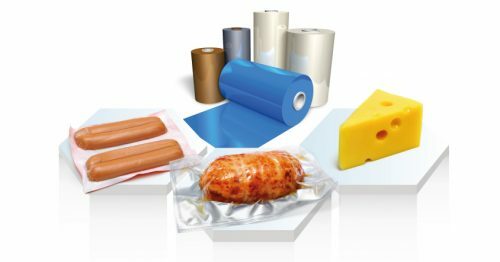 Thermoform Films - Clifton Packaging - Antibac AGP, Films, Pouches. Manufacture of packaging, packaging machinery. Crysta Thermoforming Film is designed to run on Thermoforming and lidding film applications. Clifton Packaging are pleased to introduce CRYSTA™ FILM – a radical new range of high gloss, crystal clear, easy forming, and excellent-performance barrier ﬁlms for both top and bottom web applications. The CRYSTA™ family of ﬁlms features a revolutionary multi-layer co-extrusion process with unique and innovative cooling properties allows the ﬁlms to crystallize giving you perfect clarity. CRYSTA™ family of ﬁlms are production friendly and perform consistently for your most demanding applications. CRYSTA™ FILM & FORM have been specially designed and engineered to perform on all thermoforming machines for the majority of applications. – Click for PDF brochure for full information. The unique mechanical properties of CRYSTA™ ﬁlm allows for downgauging without losing any reliability or protective properties required for your vacuum packing and MAP applications. Lower form & seal temperatures. Structure not affected by moisture. Boil in the Bag and Pasteurization.